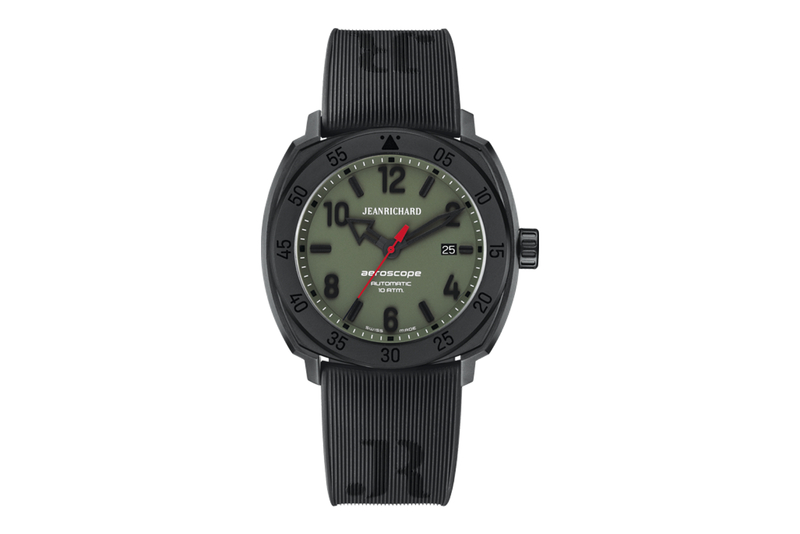 Three new JeanRichard Aeroscope black DLC titanium models are now available in your choice of grained dials: blue, grey or olive. The 44 x 12.60 cushion shaped case features a sandblasted matt finish, along with matching hour markers, and hour and minute hands. 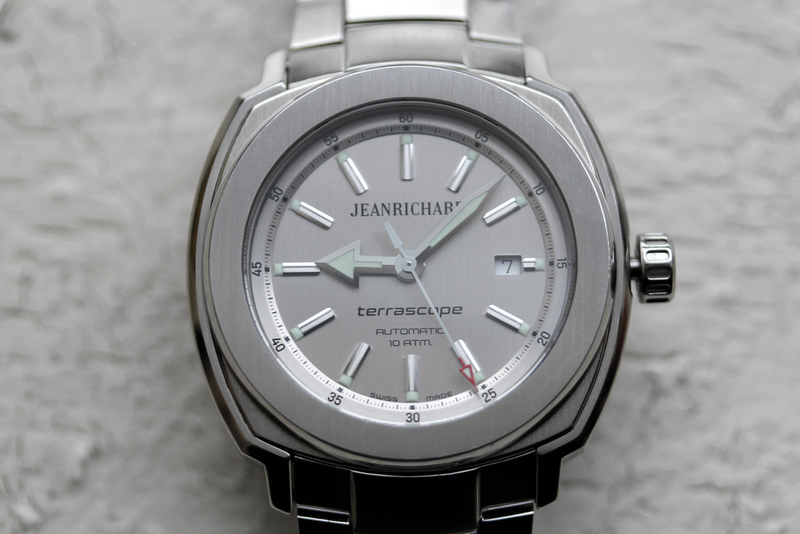 The Aeroscope 3-Hand is powered by a base Swiss automatic caliber that beats at 4Hz and has a 38-hour power reserve. Functions include hours, minutes, seconds and date. 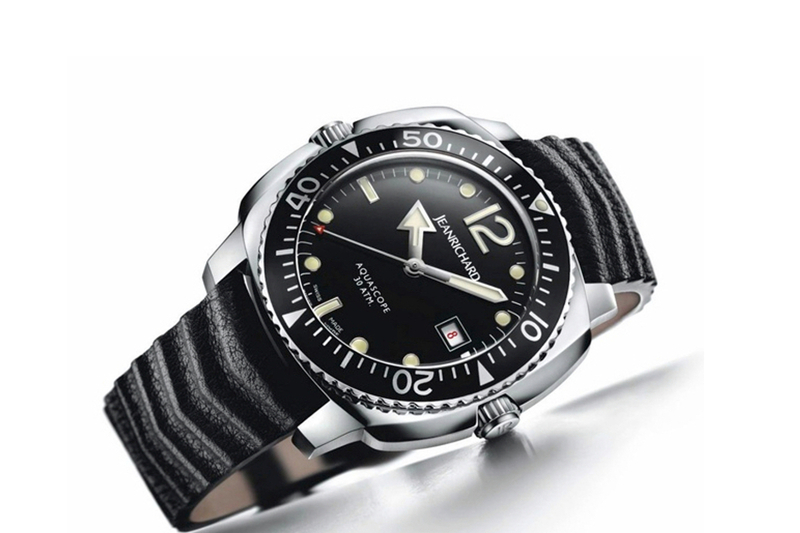 Applied matte black Arabic numerals and indexes — with a black Superluminova treatment — mark the hours. The oversized skeletonized hour and minute hands are matt black with black luminescent material. The central second hand is red with a varnished finish and black luminescent material on the tip.